This page covers the author of The Hidden Stairs and the Magic Carpet. For other authors named Tony Abbott, see the disambiguation page. The BOOK BUSTERS MIDDLE READER BOOK CLUB (ages 12+) will discuss book one in The Copernicus Legacy, The Forbidden Stone by Tony Abbott. Fans of Rick Riordan and Ridley Pearson will love bestselling author Tony Abbot's epic new middle-grade series, The Copernicus Legacy. In The Forbidden Stone, Wade, Lily, Darrell, and Becca fly from Texas to Germany for the funeral of an old family friend. But instead of just paying their respects, they wind up on a dangerous, mind-blowing quest to unlock an ancient, guarded secret that could destroy the fate of the world. Watch Tony Abbott discuss The Copernicus Legacy here! 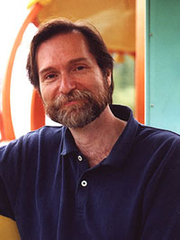 An American children's author, Tony Abbott is best known as the creator of the long-running The Secrets of Droon fantasy chapter-book series. Born in Cleveland, Ohio in 1952, he was educated at the University of Connecticut, and studied writing in workshops run by Patricia Reilly Giff. "Tony Abbott" is composed of at least 4 distinct authors, divided by their works. You can edit the division. Tony Abbott is composed of 3 names. You can examine and separate out names.